Chances are when you think of Arizona, you think of saguaro cactuses. But thick pine forests actually cover much of the state, and in northern Arizona, the nation’s largest forest restoration project is underway. 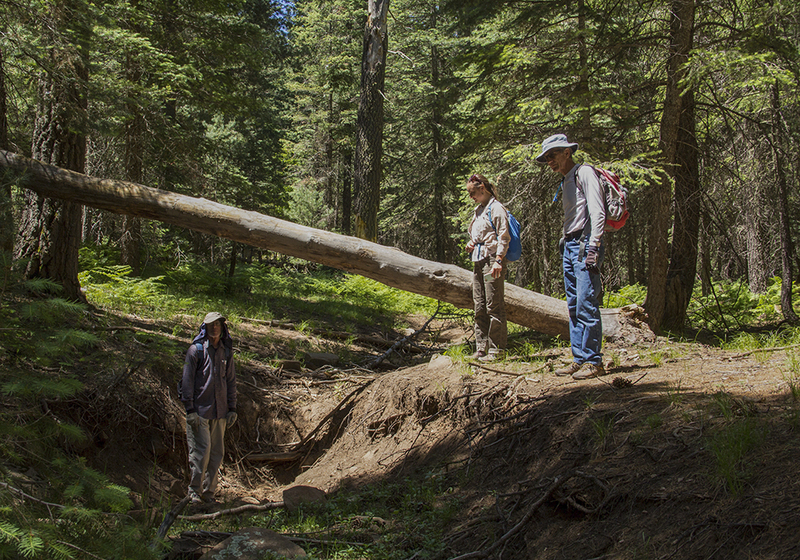 Since 2016, Trust volunteers have been helping the Forest Service study water sources on the Coconino and Kaibab national forests. The data we're collecting is helping inform forest restoration plans. We’ve hiked dozens of miles along stream channels, marking where water emerges and disappears, and have assessed more than 40 springs. This year, we're continuing stream and spring surveys, as well as counting toads and taking inventories of suitable habitat for Little Colorado spinedace, a threatened fish. Where is it wet, and where is it dry? 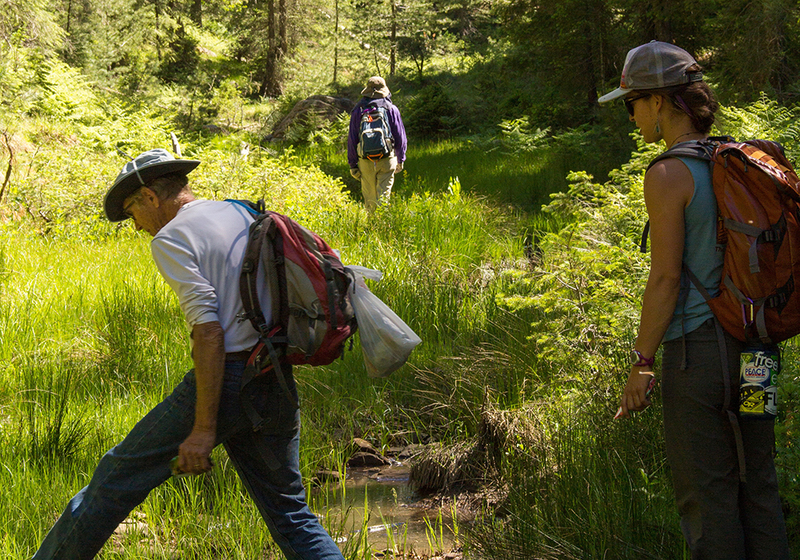 Our citizen scientists set out on foot to learn about surface water in northern Arizona. Our forests in northern Arizona are unnaturally dense — the result of past clear-cutting, historic overgrazing, and decades of fire supression. In addition to posing high risk of severe wildfire, too many trees has the side effect of sucking up a lot of water. Thinning our forests, then, should free up water from root systems and result in more water flowing downstream for fish, plants, animals, and people. We’re collecting baseline information, so that as the Four Forest Restoration Initiative progresses, we can understand how forest restoration activities are affecting our water resources. Toad surveys: how many are out there? Grab your headlamps! We're setting out after dark in search of Arizona toads. The information we collect could help the native toad species gain additional protections. Current status: This is a new project in 2018. With the help of college forestry students, we'll be documenting the presence or absence of Arizona toads along the Mogollon Rim by listening for their calls and looking for egg masses floating on the edges of streams. Listen to the Arizona toad call. The Arizona toad, like amphibians across the world, is in decline. The native species has disappeared from 75 percent of its historic habitat. 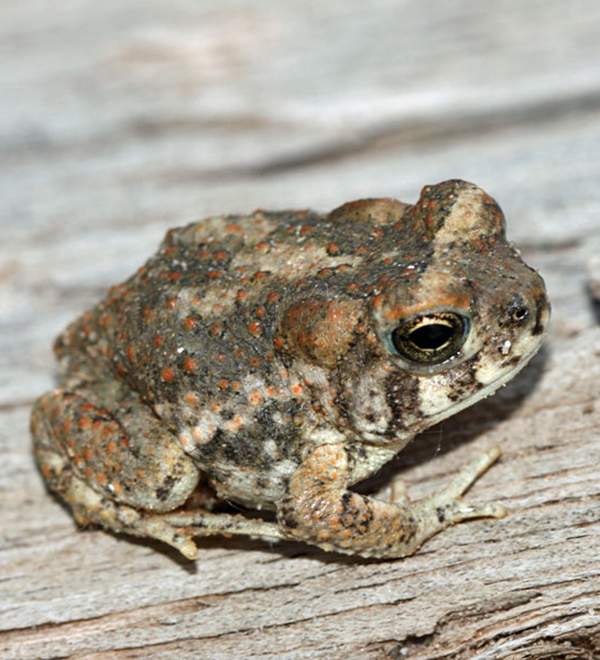 The Fish and Wildlife Service is reviewing the status of the toad and could list it as a threatened species. 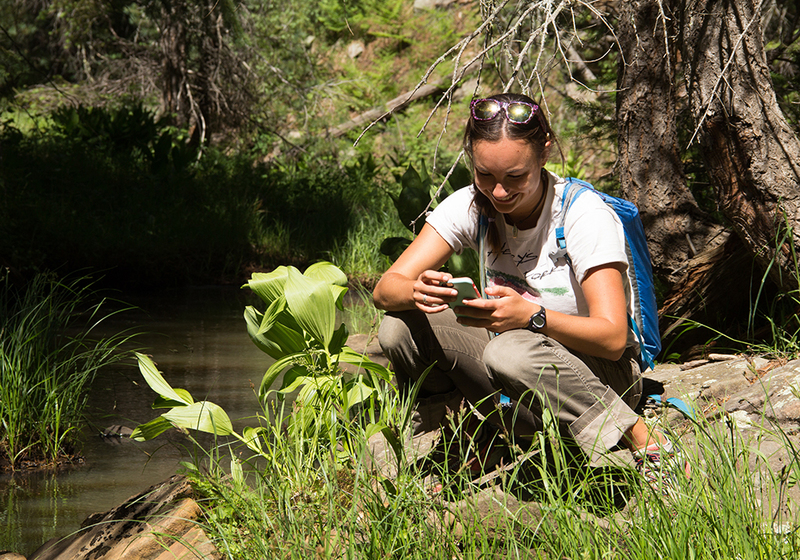 The data we collect will help the Coconino National Forest plan for Arizona toad management and recovery. We sure love a good swimming hole. Turns out fish do too. We're searching for deep pools that could make suitable habitat for a threatened species of fish. Stream flow — We're looking for places with slow current. It takes less energy for fish to hang out in pools than hold their ground in fast water. Channel depth and width — We're looking for deep channels that will stay cool all summer long. Vegetation cover — We're looking for places that fish can hide. What makes a good fish home? For the Little Colorado spinedace, large, deep pools in permanent streams are prime real estate. The four-inch silvery minnow used to live throughout northern Arizona but now is one of the most threatened species in the Southwest. We're scouting out potential spinedace habitat, looking for nooks in streams that will remain deep and cool throughout a hot, dry summer. 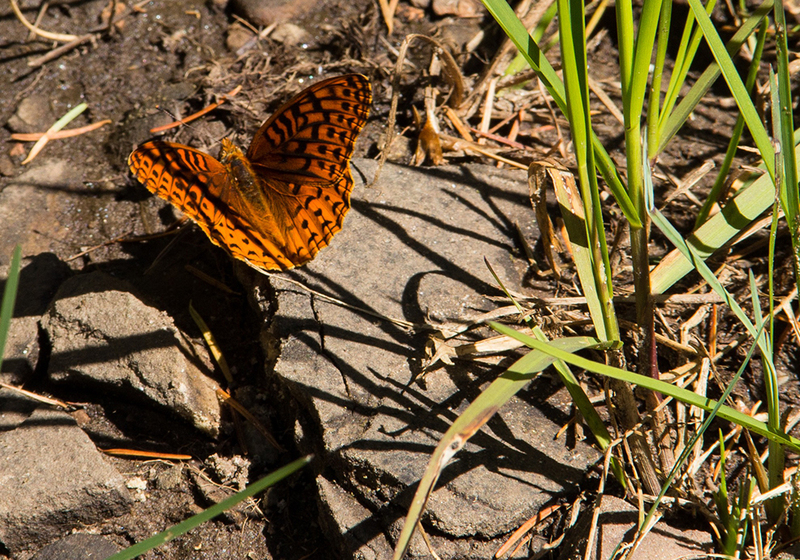 The information we collect will help inform the Forest Service's spinedace management plan, as well as identify places suitable for reintroduction. Forests play a key role in capturing, filtering, and supplying clean water for the communities, plants, and animals that live nearby. The state of Arizona only receives about 12 inches of rain each year, so it's important to conserve and protect our scarce water resources. Climate change — Climate change is already affecting the Colorado Plateau, and scientists agree that the Southwest will continue to get hotter and drier over the coming decades. For forests, this means increased stress from drought, invasive species, pest outbreaks, and fires. Wildfire — Big blazes not only threaten homes and infrastructure, but they also send loads of ash and debris into our waterways, which can kill aquatic life and impact water quality.